Dr. Michael Kolta is a full-time online instructor in Computer Information Systems at Strayer University, a large online adult university with nearly 80 traditional campuses around the country, and an adjunct online instructor at Walden University, a 100% online degree university for working professionals. He also teaches online courses at University at Albany - SUNY and Excelsior College. In other words, thanks to online learning he's able to be in a lot of places at once. He talks about the benefits (flexibility), the drawbacks (isolation), and the future of online education. 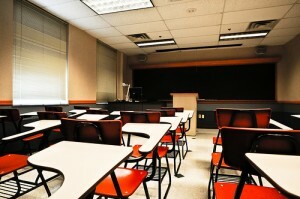 Q: How does teaching in a virtual classroom differ from a traditional classroom? A: I've been teaching both online and in person since 2001. The biggest difference in the courses I teach now is that I don't lecture. Only one of my courses includes an audio recording of me lecturing (that's at SUNY Albany); the other courses I teach either include lectures from another instructor at the school or don't have lectures at all, just text that the student reads. Some of the courses I teach I've helped develop, but for the most part, I don't write that text. A pay structure is forming for online schools, so it varies, but usually helping to develop a course is a separate assignment. This makes it very different from teaching at a traditional university. My role is more of a facilitator than a teacher. Q: What do you think are the benefits of online universities? A: The flexibility is unbelievable. As long as I meet certain deadlines, I can work anywhere, anytime. I can live anywhere I want. There's no commute. I work in my PJs. There are people checking up on me, of course, but I'm not on a clock, so as long as I get all of my work done and maintain certain quality standards, it doesn't matter how long it takes me. I could never teach this many courses if I had a regular teaching job. What we're going to see happen is that some of the less solid universities are going to close their doors, and the more favorable ones will have more students. Plus, the flexibility goes both ways. It's equally as flexible for the the students. For adults, especially, it's a better way to teach. My youngest students are 25, and the oldest are about 55. They’re motivated and they want to do well, so that’s what they need: a facilitator. They’re also busier. Many are working full-time and have families. Also, many students at Excelsior College are in the military, which means that they can be on active duty or be relocated and still take their classes uninterrupted. A: There's a little bit of isolationism. I felt it in the first two or three weeks. But now that I'm used to things, I'm loving it. I just have to make sure I have social activities going on! For students, sometimes they feel it's hard to get the help they need. I'm required to respond to their messages within 24 hours, whereas in a classroom it could be instantaneous. To mitigate that, what I do is when students are really stuck, we go to an online chat room, or I'll call them on the phone. Every once in a while they need that little extra nudge and it helps a lot. Also, brand new this quarter, Strayer University hooked up with another company called SMARTHINKING to offer additional tutoring and writing help. Students get a certain number of hours for free, and can request more for a fee. Q: What software interfaces do you use? A: There are two main players: Blackboard and eCollege. There are a couple other interfaces out there, but nothing is as common as those two. All the courses I teach use either one or the other. And while I might have links to other sources -- instructional videos on YouTube, online resources that are free -- in terms of specific course materials and communication, it's all self-contained. Students can read lectures, participate in online discussions (which are kind of like blogs), download the assignment, submit the assignment, join online chat rooms either with the instructor or with each other, and send email messages to the instructor or to other students. Q: Do you think online universities will become more prevalent in the coming years? A: Absolutely. The future of education is online. But there's a bit of turmoil in the online learning world right now. The long and short of it is that a lot of students are defaulting on their student loans, and some research found out that there's an uneven amount of that happening at online schools. In some cases, they got their degree and couldn't find work. There are a lot of online schools that aren't accredited. For instance, you can get a nursing degree, but have zero hospital time. Nobody's going to hire you! So the government is cracking down on online universities. What we're going to see happen is that some of the less solid universities are going to close their doors, and the more favorable ones will have more students. And you'll see some new ones spring up. There are very little resources required to start an online university versus a traditional university, for instance. Walden University is part of a larger organization called Laureate Education, and one of the things Laureate is doing is buying traditional universities. Lots of them. And they're requiring the regular universities to offer a certain amount of online classes. The bottom line is they're growing in any way they can.